What a beauty! 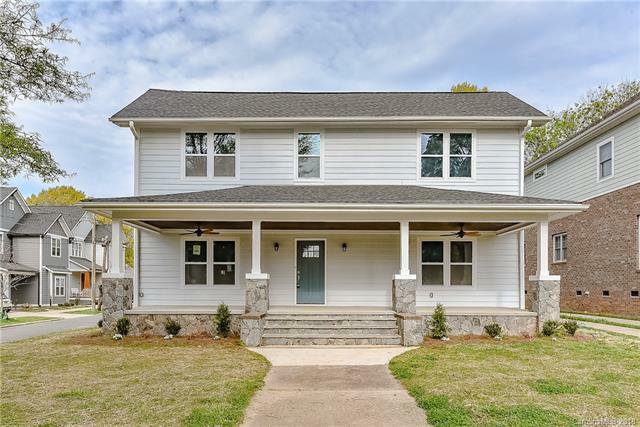 We have a fully renovated 4 bedroom 3 full bath home located on a corner lot in Seversville, just outside of uptown Charlotte, where there's tons of new development. Sitting on .19 of an acre this home features dark hardwood flooring, crown molding, soft close cabinetry, stainless steel appliances, beveled tile backsplash, matching granite counter tops throughout, master down, walk in closet, tiled bathrooms, recessed lighting, 9ft ceilings, drop zone, large covered porch with outdoor fans and city views, new electrical, plumbing, roofing, and much more. Home warranty included. Offered by Westwood Real Estate Partners. Copyright 2019 Carolina Multiple Listing Services. All rights reserved.